Register here to apply for the Basic membership level - it's completely free. Tactilon Dabat is the industry-first full TETRA radio built into a smartphone. You can start developing your mission-critical app or accessory for this exciting product today - through our exclusive SmarTWISP application and accessory developer programme. Download the SmarTWISP leaflet here. Find out more about the Tactilon Dabat hybrid device at: www.dabat.com and www.dabat.com/de. Stay on top of what's happening in the SmarTWISP programme. Just let us know and we’ll send you a short email when there’s something new to tell - and never more than two emails per month. The SmarTWISP programme offers four membership levels. You can now apply for the Basic level free of charge. Once your membership has been approved by Airbus, you’ll be able to upgrade your membership level and enjoy even more benefits. ...start developing your mission-critical product on our platform for FREE. What developers say about SmarTWISP? Why start developing mission-critical, professional apps? The five finalists of the Critical App Challenge Belgium presented their useful, secure and innovative applications at ASTRID User Days, on 3-4 October 2018. Apps Catalogue is the EASIEST way for potential customers to find you and your app, so you can grow bigger! The Catalogue lists the professional applications developed for the Tactilon Dabat device. 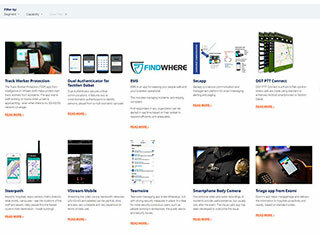 Take a look at the Apps Catalogue now! Do you want your app to be part of the Catalogue? Critical Communications World 2018 was a chance to see the latest innovations in the mission-critical market. 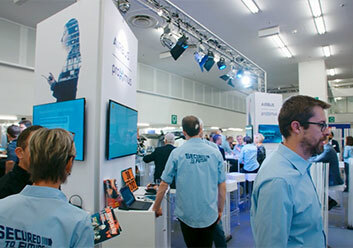 On each of three days the Apps Ecosystem – a special exhibition area near the Airbus stands – featured three innovative applications for Tactilon Dabat device. 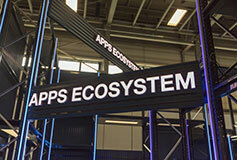 If you missed the event, you should definitely check the Apps Ecosystem web page which currently showcases the nine apps presented at the show. Professional apps vs. mainstream apps – what is the difference? September 2018 saw a special Challenge for mission-critical applications, run as an online competition. The Critical App Challenge Belgium attracted 34 candidates, who proposed professional apps especially for the public safety market. The companies with winning proposals were invited to present their app at ASTRID User Days on 3-4 Oct 2018. This is one of the largest public safety technology events in Belgium. Or see our favourite pictures from the event. Who were the winners of the Critical App Challenge Belgium? Jacques Brancart, Head of Airbus SLC Benelux gives insights into the challenge and the five winners of Critical App Challenge Belgium appear on the video. 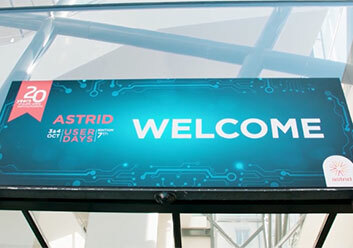 ASTRID User Days 2018 provided a broad overview of current and future applications in the fields of critical communications, localization, paging, track and trace, alerting, and video, for example. The Critical App Challenge Middle East attracted 40 candidates, who proposed professional apps especially for the public safety market. The companies with winning proposals were invited to present their app at Gitex 2018 in Dubai. 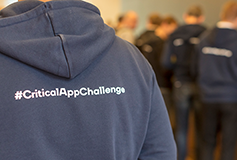 Critical App Challenge 2018 on 2-4 Feb brought together eight app developer companies in Munich to boost the creation of hybrid applications for the mission-critical market. See photos and video from the event. Do you have questions or need the support of our technical team? Please email us at smartwisp@securelandcommunications.com. Together, we can change the future of mission-critical communication!